South Africa on Monday rolled out tough new visa regulations requiring children travelling into the country to carry unabridged birth certificates. The revised regulations dictate that children of all nationals and foreigners must be accompanied by unabridged birth certificates in addition to their passports when entering or leaving the country. The new regulations apply only to children travelling with one parent and those arriving from visa-exempt countries. Government says the measure is aimed at curbing international child trafficking. The new entry rules to prevent child trafficking came into effect on Monday 1 June, with airlines and travel agents saying the regulations could hurt the important tourism industry. The government estimates 30 000 children are trafficked into South Africa annually, often for prostitution or labour. Opposition parties, human rights groups and tourism firms say the true figure is much lower. The new rules from the department of home affairs require minors travelling with both parents to have an unabridged birth certificate with full details of both parents, as well as a passport and visa. 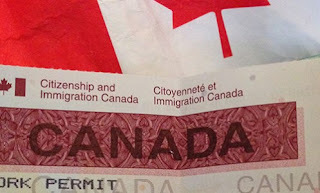 If the child is travelling with only one parent, immigration authorities require the written consent of the other parent, even when the parents are divorced. Those travelling with a minor who is not their biological child need a legal letter from both the parents or guardians authorising the journey. "The main aim is that we prevent child trafficking," said Minister in Presidency Jeff Radebe. Tourism has become South Africa's fastest-growing sector. Arrivals have been boosted in part by a weaker rand currency that has made South Africa a relatively cheap destination. The outbound travel, inbound tourism and airline industry associations – ASATA, SATSA and BARSA – held a media briefing on Friday to discuss the key issues around the new requirements, including how biometric visas will affect the industry. David Frost, the chief executive of Southern Africa Tourism Services Association (SATSA), said the new rules would hurt the industry. Airlines would bear the cost of repatriating travellers without the correct documents, he said. "What we are seeing here is akin to taking a sledgehammer to kill a mosquito," he told the briefing. Otto de Vries, the head of the Association of Southern African Travel Agents, disputed the government's figures on trafficking. "If you are going to implement policy that is this unique in the world, you would have taken the time to find out exactly how serious the situation is," he said.